Chuck Connors, born April 10th, 1921 in Brooklyn, NY, was a professional baseball player. 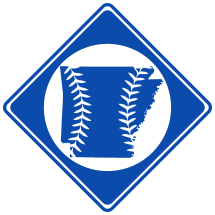 He began his professional baseball career in 1940 with the Newport Dodgers of the Northeast Arkansas League. Connors later made it to the majors, playing two seasons with the Los Angeles Dodgers and the Chicago Cubs. After baseball, Connors became a successful actor best known for his role of the TV series The Rifleman.